... with GRAM PARSONS! 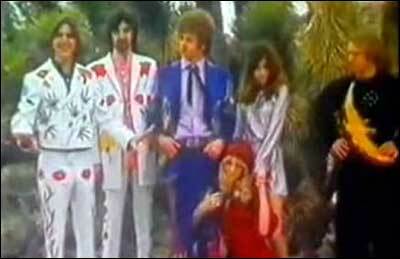 As a member of both The Byrds and The Flying Burrito Brothers, and as a solo artist, Parsons anticipated the so-called country rock of the 1970s and the alt-country movement that began around 1990. 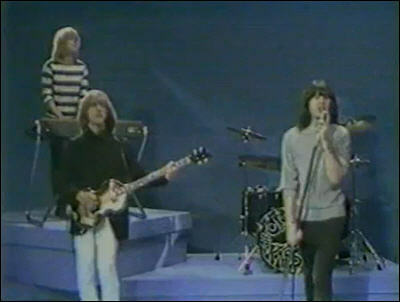 There is not a lot of GP video floating around, but "Christine's Tune" is a good place to start, though the video for "Older Guys" is great because someone made them go out to christen Judge Smails' sloop. The Hell's Angels make an unfortunate cameo in the clip of "Six Days o­n the Road" from the infamous Altamont festival in 1969. 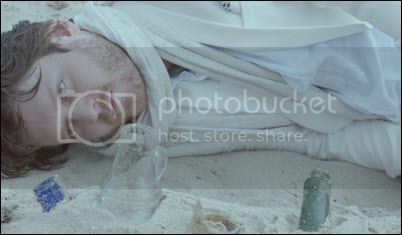 The posthumous video for "Sin City" is nice also. BONUS: Dwight Yoakum covers "Wheels" at a Parsons tribute concert. DOUBLE BONUS: Frequent duet partner Emmylou Harris covers "Return of the Grievous Angel" with alt-country icon Ryan Adams (and Buddy Miller o­n bass) at a different tribute. THE ARCS: The Black Keys offshoot advance streams Yours, Dreamily. LOU BARLOW advance streams Brace The Wave. DIANE COFFEE: Shaun Fleming, former Disney voice talent and touring drummer for Foxygen, advance streams Everybody's A Good Dog. JOAN SHELLEY advance streams Over and Even. SUPERCHUNK drops a 2000 live cover of "Born to Run" (with Crooked Fingers and...Trail of Dead) to mark the song's 40th anniversary. TAYLOR SWIFT hosted Beck and St. Vincent on a cover of Beck's "Dreams." She also brought on Lisa Kudrow for "Smelly Cat." 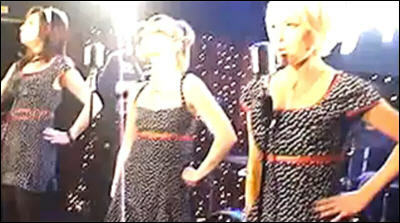 THE PIPETTES: "Your Kisses are Wasted On Me." Before it all went wrong. Sigh. YO LA TENGO: Ira Kaplan lists 10 of his influences, musical and otherwise, for the New York Times magazine. ELENI MANDELL talks to Magnet about the countrified sound of Dark Lights Up. LAMONT DOZIER: The legendary songwriter talks to The Guardian about the early days of Motown, Detroit in the 1960s, and how to write a hit song. THE LEMONHEADS: Ten of the Best. NOW SHOWING: This weekend's wide releases are No Escape, which debuted Wednesday scoring 41 percent on the ol' Tomatometer; We Are Your Friends, which is scoring 43 percent; and War Room, which wasn't screened for critics. Estimates favor War Room to edge We Are Your Friends, despite being on many fewer screens. BEN AFFLECK & JENNIFER GARNER lose their wedding rings. LUCY LIU welcomed a baby boy via surrogate on Thursday. ROSIE O'DONNELL's daughter Chelsea — who went missing on August 11 only to return a week later — has left home again to live with her birth mother. JENNIFER LAWRENCE & AMY SCHUMER are writing a screenplay. BRADGELINA are house-hunting in London. DERRICK ROSE of the Chicago Bulls is being sued by a woman who claims the NBA superstar and two of his friends drugged and gang raped her. CHRISTOPHER GUEST is putting most of his players back together for Mascots. UKRAINE and pro-Russian separatists, in a gesture to shore up a tenuous ceasefire, agreed on Wednesday to strive for an end to all truce violations from next Tuesday, the OSCE and rebel representatives said. IRAN appears to have built an extension to part of its Parchin military site since May, the U.N. nuclear watchdog said in a report on Thursday, as part of its inquiry into possible military dimensions of Tehran's past nuclear activity. 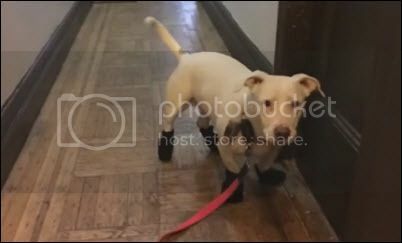 A DOG unhappy with her shoes. A RATTLESNAKE SELFIE is a bad idea. The More You Know. A HUMPBACK WHALE backflips for tourists. AN ELEPHANT in northern Thailand went berserk Wednesday, killing his "mahout" keeper before running off into the jungle with three terrified Chinese tourists still on his back, police said. AFRAID SO. It's been that kind of Summer. I should be back Friday tho. BEIRUT dropped a video fro "Gibraltar." YO LA TENGO was the house band for Morning Edition. CAROLINE ROSE played a Tiny Desk Concert. TOBIAS JESSO JR stopped by Morning Becomes Eclectic for a session. ALL SONGS CONSIDERED: New tracks from Telekinesis, Foals, Julia Holter, and more feature in the latest edition. KATHRYN CALDER drops “New Millennium." THE PAINS OF BEING PURE AT HEART stream demos from Abandon. TAYLOR SWIFT & ALANIS MORISSETTE: You oughta know the song. 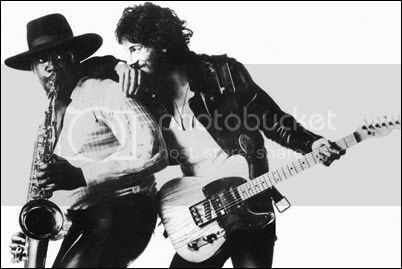 BORN TO RUN: The album thant made Springsteen a star turns 40 this week. Here's the orginal NYT review. There's a track-by-track tour at Consequence of Sound. And The Atlantic has a piece about why the LP struck a major chord. Thus, the title track. NEW ORDER's Bernard Sumner talks to Stereogum about Music Complete and the ghosts of Manchester. 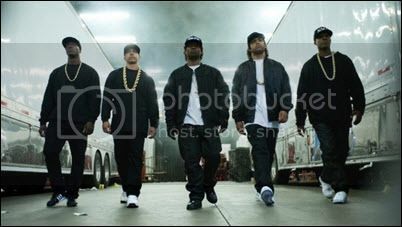 N.W.A. finally hits the Top 40. SHOULD TOM CRUISE be asked about in Scientology? I've mocked him when he was making it an issue, but it's less clear that he should get grilled now that he's not making it a part of his public persona. 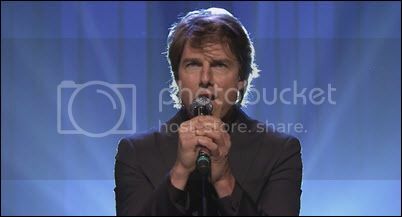 That said, documentarian Alex Gibley does have a point that Cruise's role is a unique one. SERENA WILLIAMS: Friends advise her to stay away from Drake. ALISON BRIE, of Mad Men and Community, is engaged to longtime boyfriend Dave Franco. CONNIE BRITTON (Nashville) talks feminism more deftly than most celebs recently. FEAR THE WALKING DEAD opened to monster — and record-setting — cable ratings. GAMBIT: Lea Seydoux has the offer to star alongside Channing Tatum in Fox's Rupert Wyatt-directed X-Men spinoff. SPAIN & MOROCCO arrested 14 people on Tuesday suspected of planning attacks and recruiting fighters to join Islamic State in Syria and Iraq. THE ISLAMIC STATE: NBC News reveals a disturbing ISIS strategy to recruit and deploy an army of child soldiers, brainwashing them until they are ready to blow themselves up or carry out terrorist attacks in the Middle East and abroad, and brutalizing those who refuse to cooperate. IRAN: The International Atomic Energy Agency said on Tuesday it received substantive amounts of information from Iran aimed at quelling concerns its nuclear past had military elements, although it was too early to say whether any of it is new. 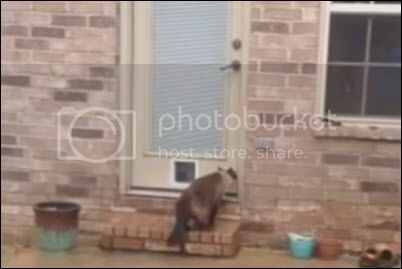 PHILO cares not for your cat door. SHREK THE UNSHEARABLE SHEEP is eulogized at Deadspin. GLIDER SPIDERS: This from The Economist is creepy, and yet contains an awesome Monty Python reference. THE SWARM: Millions of drunk German wasps cause chaos across Britain. 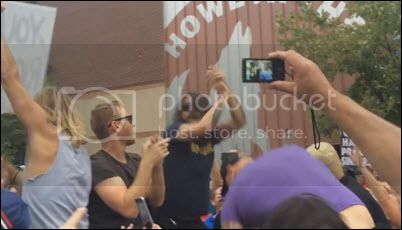 FOO FIGHTERS Rick Roll the Westboro Baptist Chruch before a show. FROG EYES advance streams Pickpocket’s Locket. PETER WOLF CRIER advance streams Plum Slump. THE ARCS: Dan Auerbach (Black Keys) brings Richard Swift and others to Morning Becomes Eclectic. JOSH ROUSE stopped by World Cafe for a chat and mini-set. DEERHUNTER's Bradford Cox goes beyong nostalgia with Pitchfork. LEE HAZLEWOOD is the subject of a new book by Wyndham Wallace. THE 200 BEST SONGS OF THE 1980s, according to Pitchfork. 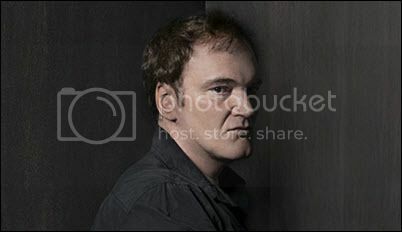 QUENTIN TARANTINO talks race, The Hateful Eight, blockbusters, Grindhouse and much more at Vulture. TRACY MORGAN wed his long-time fiancée Megan Wollover on Sunday night. BRIAN AUSTIN GREENE will almost certainly get spousal support from Megan Fox in their divorce. DRAKE & SERENA WILLIAMS were caught canoodling at a fancy Cincinnati restaurant. ONE DIRECTION plans an extended hiatus. THE TWO KOREAS have reached an agreement that stops the “semi” state of war that erupted over the last few days, with a statement of regret from Pyongyang over the maiming of two South Korean soldiers. Seoul will stop its broadcasts of propaganda over loudspeakers on the DMZ, and in general both sides will return to the status quo. IRAQ: Over the past few month, as much as 77 percent of Israel's oil has come from one source: Iraqi Kurdistan. RED THE CAT sits like a human. THE HUGE ALLIGATOR recently caught in Lake Eufaula in Alabama weighed in at a whopping 920 pounds. AN ANIMAL RIGHTS ACTIVIST was beaten with a duck by a Spanish woman defending one of the country's most bizarre and controversial festival traditions. SPIDERS AS BIG AS MICE will find their way into British homes to flee the weather and lay hundreds of eggs. 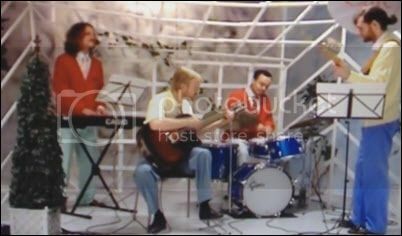 DUNGEN drops a video for "Franks Katkus" that looks like low-budget cable, but sounds like their own psych-prog selves. WILCO played a full set live at the Columbia City Theater for KEXP. SAM BEAM & BEN BRIDWELL stopped by World Cafe for a chat and mini-set. THE REVIVALISTS stopped by WFUV's Studio A for a chat and mini-set. SON LUX played a Tiny Desk Concert. LOS COLOGNES harness the Bo Diddley beat for “Baby, You Can’t Have Both,” which sounds like a mix of the Dead, The Band, and Dire Straits. 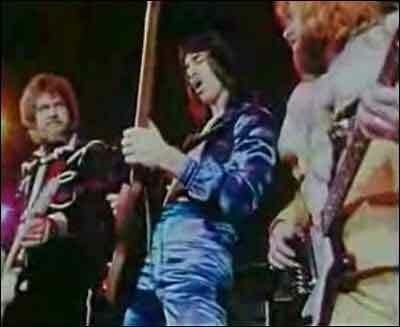 BACHMAN-TURNER OVERDRIVE: "You Ain't Seen Nothing Yet." Because it's summer. Plus, cowbell. DESTROYER's dan Bejar talks songwriting, exploration, singing and more at PopMatters. BIKINI KILL's Kathleen Hanna and Kathi Wilcox talk to Rolling Stone about what it was like to revisit the band's early days and the future of Bikini Kill Records. WILLIS EARL BEAL does a Q & A with Aquarium Drunkard. AXL ROSE & SLASH are back on good terms, but no Guns 'N Roses reunion news. WEEKEND BOX OFFICE: Straight Outta Compton repeats atop the chart with 26.7MM on a 56 percent drop; for comparison, that's leggier than Eminem's 8 Mile, whose total Straight Outta Compton is likely to surpass over the next week. Mission Impossible - Rogue Nation places again with 11.7MM; it won't match the December-released Ghost Protocol domestically,but is close to breakeven worldwide (even after marketing costs). The debut of Sinister 2 shows with 10.6MM, far less than the original's 18MM, but with less star power and an August release, one suspects the budget was low enough that this will make money, even if it takes home video to do so. Hitman - Agent 47 takes the fourth slot with 8.2MM, which looks like a loss against a 35MM bdget, even if the marketing costs were low. The Man From U.N.C.L.E. rounds out the Top Five with 7.4MM on a 45 percent drop; it's taken in about 52MM worlldwide, but seems like it will end its big-screen run in the red against a 75MM production budget. Below the fold, American Ultra debuted atnumber six with 5.5MM, another disappointment. BEN AFFLECK's ex-nanny could have a new career in adult video. ROSIE O'DONNELL: The man found with her 17-year-old daughter could end up doing some serious jail time. MEGAN FOX's divorce from Brian Austin Greene appears to boil down to work-family issues. JENNIFER LAWRENCE apparently spent bart of her birthday with Kris Jenner. JOHN LEGEND & CHRISSY TEIGEN have inspired a sitcom. IRAN unveiled a new surface-to-surface missile it said could strike targets with pin-point accuracy within a range of 500 km, announcing it will not follow parts of the nuclear deal that restricts its military capabilities. Meanwhile, questions regarding “possible military dimensions” of Iran’s past nuclear work remain unresolved. FRANCE: Three Americans, including two servicemen, who tackled a gunman aboard a train from Amsterdam to Paris on Friday are being hailed as heroes for thwarting what could have been a massacre. The alleged attacker, authorities believe, is a 26-year-old Moroccan man flagged by Spanish authorities in February 2014 because of his connections to radical Islam. THE ISLAMIC STATE bulldozed parts of the ancient monastery of Mar Elian in Qaryatain, a strategic town located in the central Syrian province of Homs. FMR SAUDI GENERAL Anwar Majed Eshki suggests there is a lot of Arab-Israeli diplomacy going on that is not US driven at this point, and that US policy may empower not only Iran, but Russia. 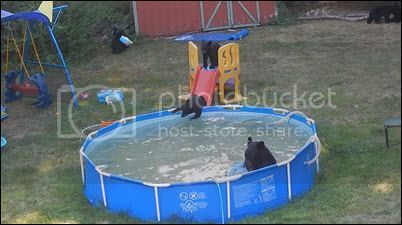 A FAMILY OF BEARS, hanging out at the swimming pool at the end of August. MEI XIANG Mei Xiang, the panda housed in Washington, D.C.’s National Zoo, gave birth—as expected—to two cubs on Saturday, about four hours apart. Here's why giant pandas eat and poop all day. A 250-LB PIG escaped relatively unscathed when it flew out of a trailer that was being pulled at about 65 mph on I-25. A SPIDER INVASION leaves Argentinian villages covered in the Devil's slime.